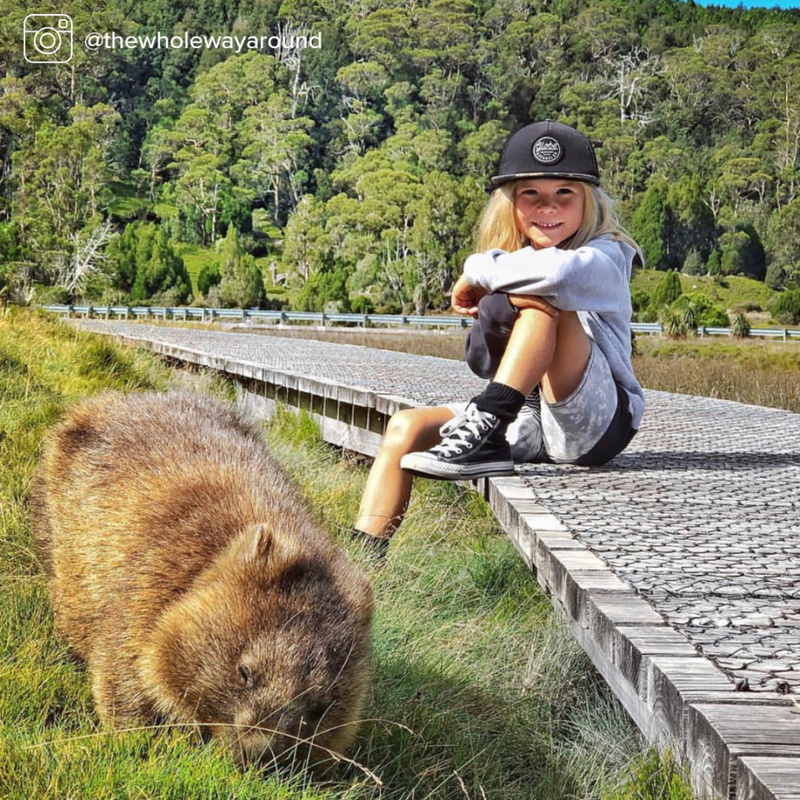 Tassie4Kids | Going to Cradle Mountain? 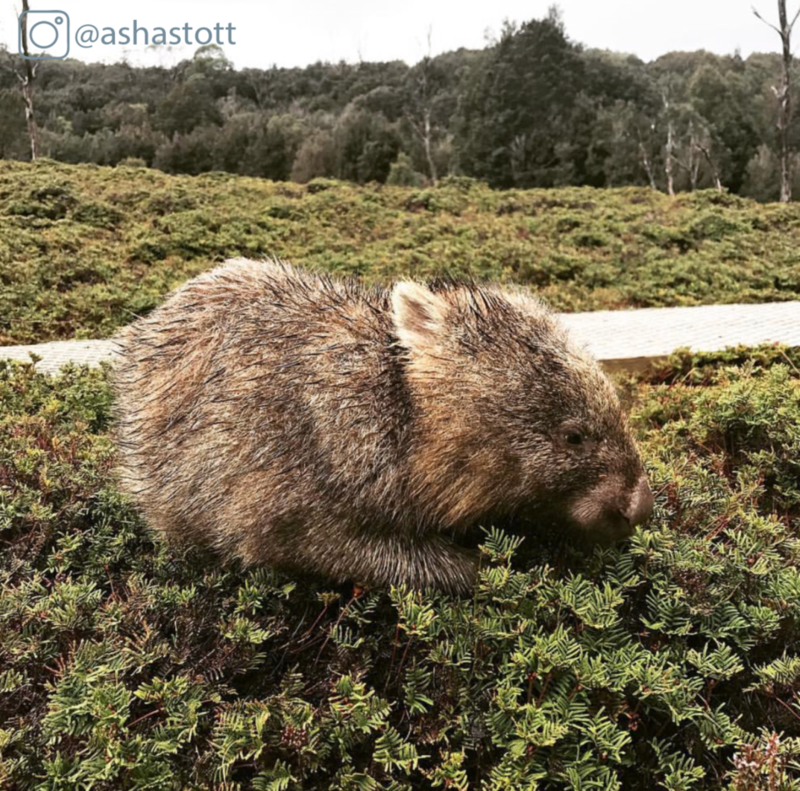 Every time we drive over the Cradle Mountain Link Road we see at least five wombats. Usually, early morning or late arvo is when they are most active. You don’t see many around midday as that’s when they have their siesta! They will be snoring away somewhere deep within their 20km of tunnels! What kind of weather do Wombats like? Wombats like cool days. If the weather is very warm you’re not likely to see one until dusk as it’s too hot for them in the sun. 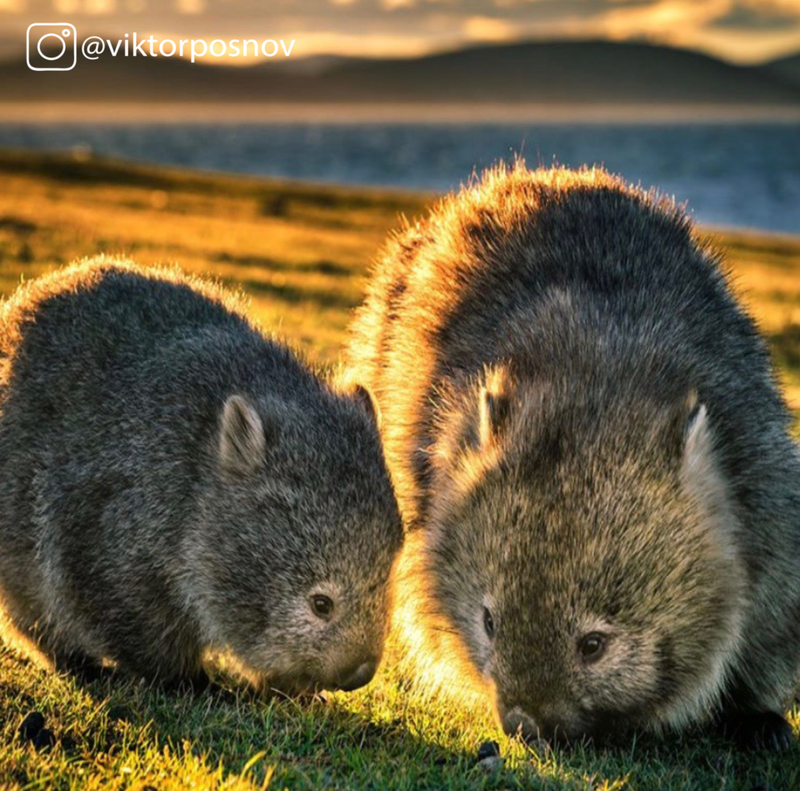 Thick fur is perfect for insulation against the harsh tassie winters, and it also acts as a waterproof coat, so if the weather is drizzling you’re bound to see one nibbling near the roadside on lush grassy patches. Pouring is a different matter- would you want to hang out in torrential rain? 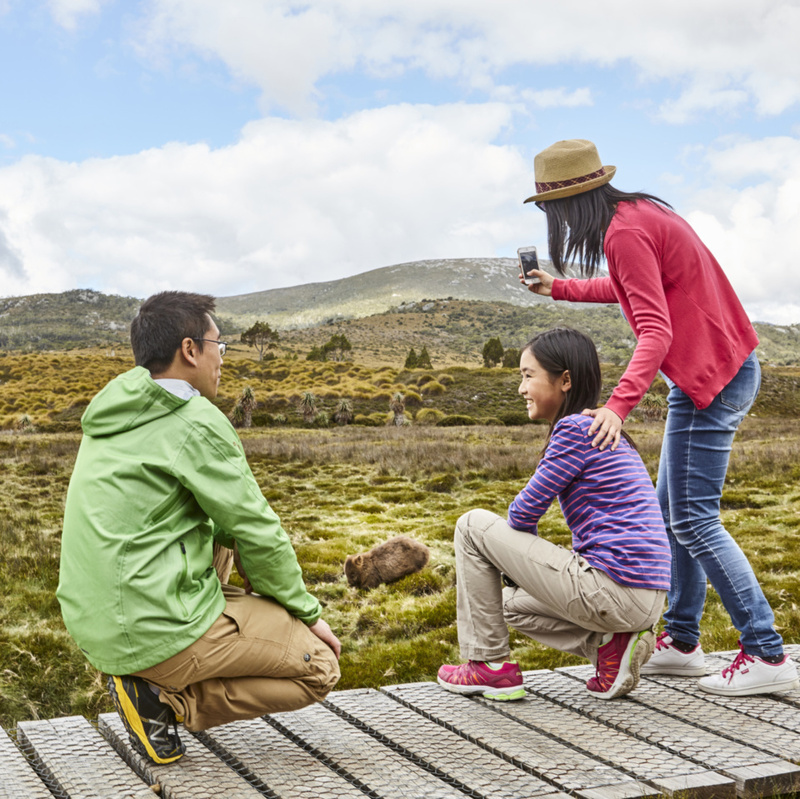 Where can we stop to look for wombats when driving? You’ll find them in open grassy areas or low lying shrub with small lush grassy bits, off the sides of the road. There are not many spots to see them on the West Coast of Cradle Mountain (before the turn off into the mountain and accommodation), other than the grassy plains near the Vale of Belvoir. On the Eastern Side, past the turnoff are a number of spots. The first 5 kilometres past the turnoff heading towards Launceston you’ll find small patches of grass. You’re unable to safely pull over on this stretch but keep an eye out as you drive past. Once over the cattle grid that’s across the road, you’ll enter open plains. There are a couple of dirt roads to safely pull off onto. Park and go for a walk. There is also a big hill with cattle yards at the bottom. At the top of this hill, there are more plains that often have baby wombats (joeys). You can pull over at the top of the road safely. This is before the old cattle yards at the bottom of the hill. 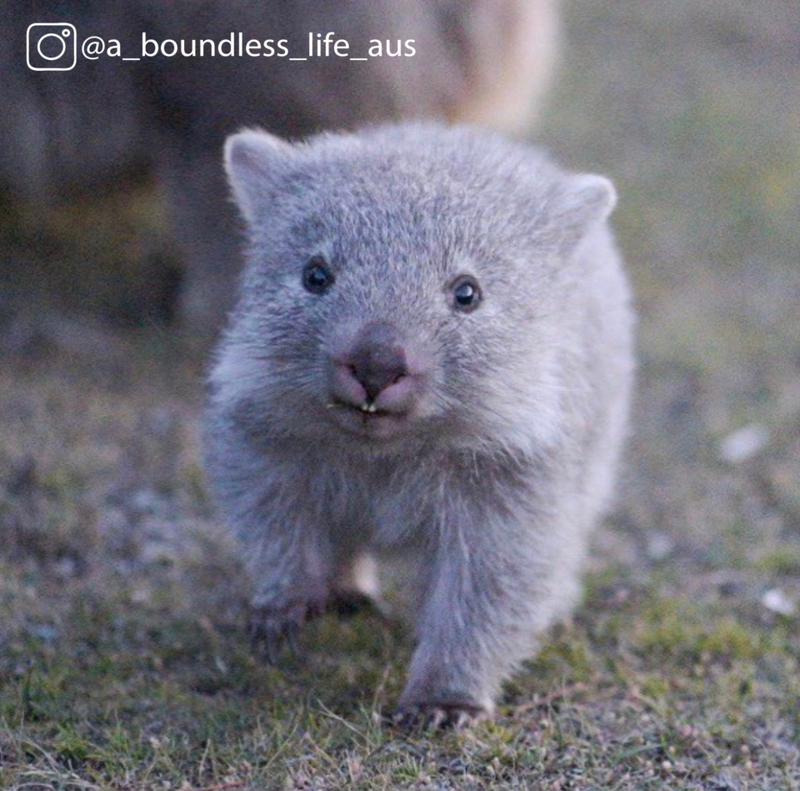 Where can we walk to see wombats? There are some huge wombat burrows along the Enchanted Walk that starts behind Cradle Mountian Lodge. Take the drive into Dove Lake and stop at Ronnie’s Creek; often a couple there too. Dove Lake sometimes has one, but it’s usually fairly busy with people. If the family can walk and the weather is suitable to take the boardwalk between Dove Lake and The Lodge. It’s nice and quiet and you’ll be sure to see a couple! Our kids are too little to walk. Is there anywhere else to get close to a wombat? If walkings not your thing or your kids have little legs, call into to Devils@Cradle and visit their furry residents. You can also see lots of Tassie Devils, Quolls, Possums and more! If your kids are older why not go on a Cradle Mountain Helicopters ride over the mountains? You’d see loads of Wombats from above!